For candidates from General and OBC categories, upper age limit is 22 years as on 01.07.2016. Candidates born on or after July 01, 1994 are eligible. In the case of Scheduled Caste and Scheduled Tribe candidates, upper age limit is 25 years as on 01.07.2016. That is SC/ST candidates born on or after July 01, 1991 are eligible. Upper age limit for Physically Challenged candidates shall be reckoned as per the category he/she belongs to i.e. General/SC/ST/OBC. Date of birth as recorded in the Secondary Education Board/Pre-University Certificate shall be the authentic proof that will be accepted. At the time of counselling, this certificate must be produced in original as a proof of age, failing which the candidate will not be considered for counselling/admission. 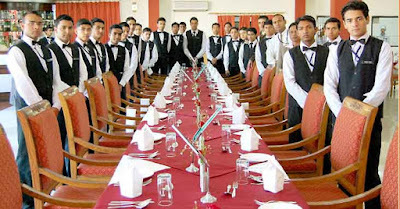 27% seats are reserved for candidates belonging to OBC (Non creamy layer) category in Central Institutes of Hotel Management. Those belonging to the creamy layer of OBC are NOT entitled for reservation. Seats remaining vacant in this category shall be filled through General Category candidates, as per Hon'ble Supreme Court ruling. The OBC candidates (non-creamy layer) will be required to produce original OBC (Non Creamy Layer) caste certificate issued on or after April 01, 2015 by a competent authority in the prescribed format at the time of counselling/Admission. Format is given at Annexure-II. 3% of seats across the board are reserved for Physically Disabled candidates in all Central & State Government Institutes of Hotel Management. For any category of disability (viz. locomotors, visual, dyslexia, speech, and /or hearing) benefit would be given to those who have at least 40% physical impairment. One seat (Supernumerary) in each Central and State Government affiliated IHM is provided for Registered Kashmiri Migrants. Such applicants shall have to qualify the JEE-2016. Candidates registered with different State Govt. should produce proof of registration in original at the time of Counselling and at the time of admission to the Institutes.